It seems likely that these cars were on a siding just north of what is now Memorial Park. 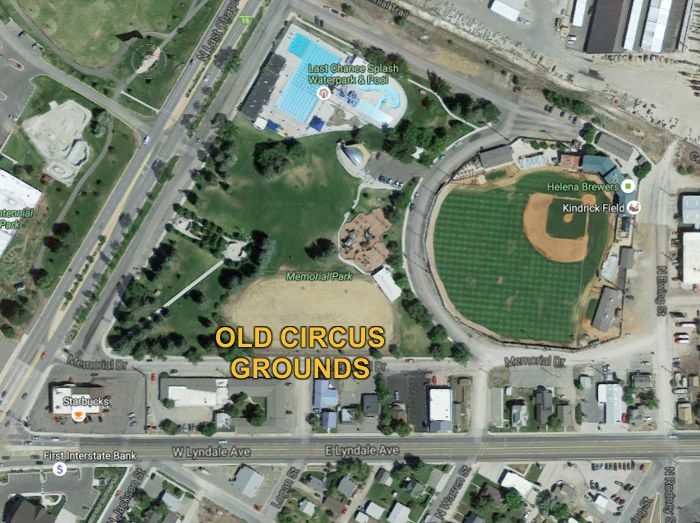 According to 1930s Helena newspaper articles, the "old circus grounds" were located about where the Memorial Park skating rink is today. "Helena, Mont., Wednesday, September 3. 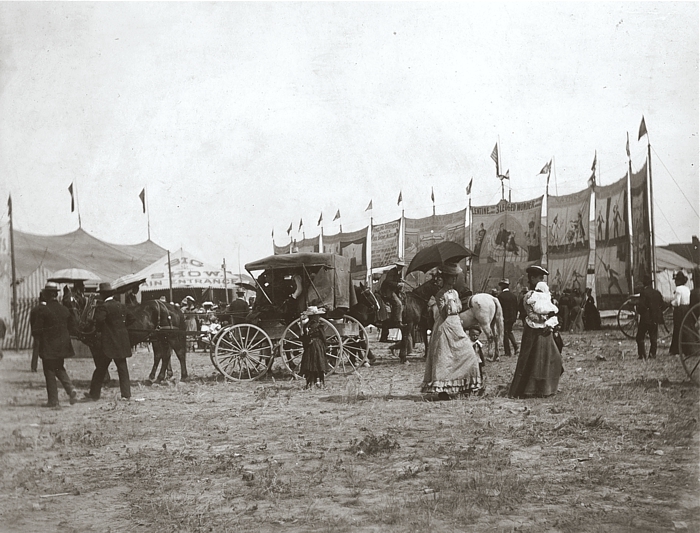 The show arrived early from Great Falls and as the lot was only a few blocks from the runs, all the paraphrenalia was quickly conveyed there. At ten o'clock, when Assistant Equestrian Director Edward Shipp surveyed his parade people, he noted the fact that fully twenty were missing. 'Where are they?' he asked, in tones that boded ill for the culprits. 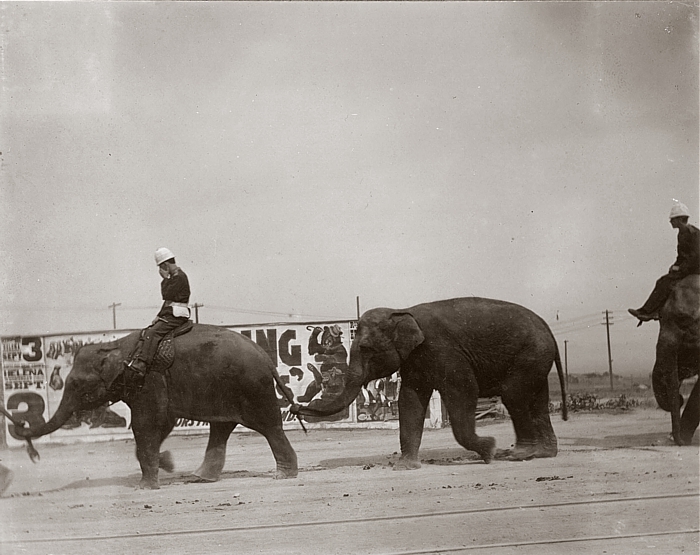 'Guess they are walkin' from Great Falls; they didn't come over on the circus trains,' responded an elephant man who had gained a foothold on the last section just as it was pulling out. Some lively work followed. Mr. Shipp mustered all the available property men, hostlers and cook house employees, put them into uniforms and started the parade. 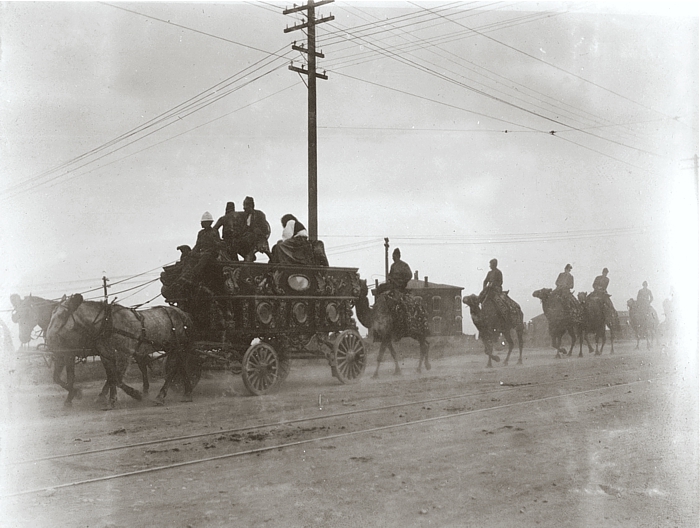 The calliope was returning to the grounds when the missing ones came into the city on a freight train. Business in Helena was good at both performances." 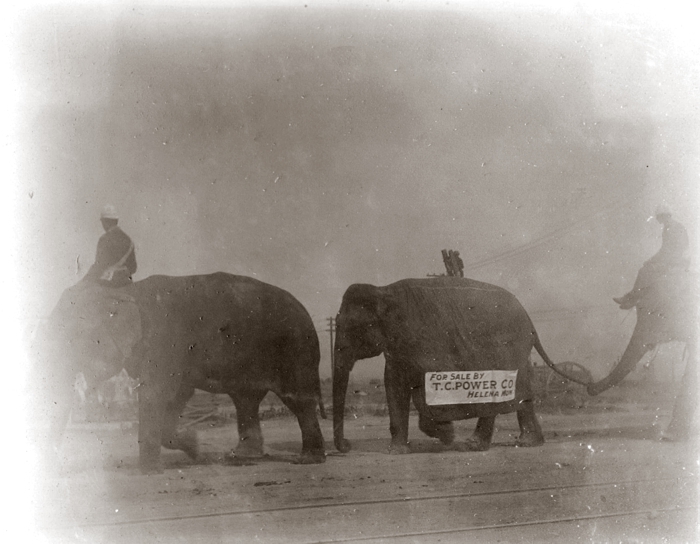 Local advertising for the T. C. Power Co. featured on an elephant. 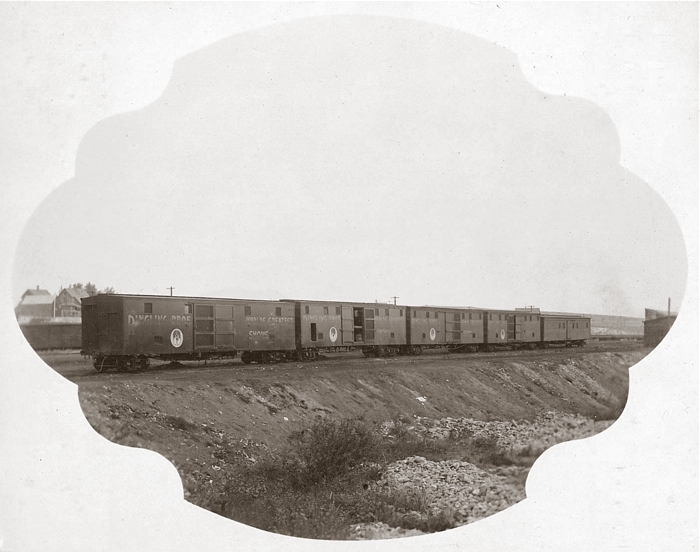 According to a 1961 edition of Bandwagon magazine, this ornate mirrored parade wagon, known as Forepaugh's Three Tier Telescoping Tableau, was built in England circa 1879. 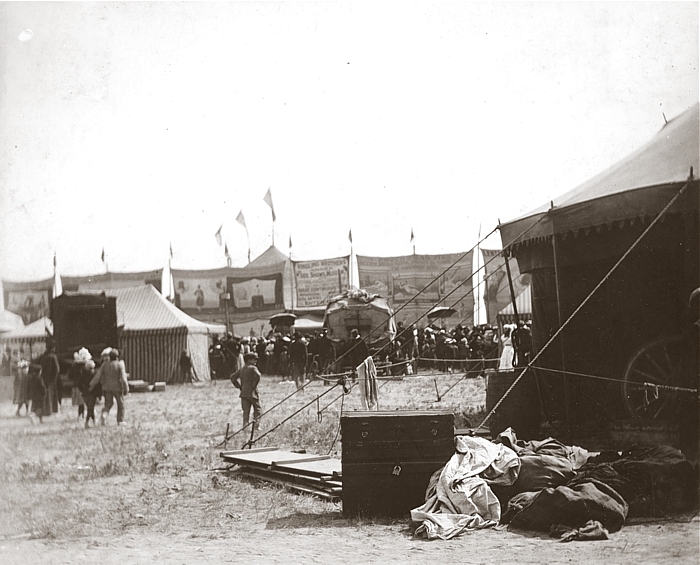 It was originally owned by the Forepaugh Shows, and was sold to Ringling Bros. in 1890. The top deck was removed sometime before 1900. 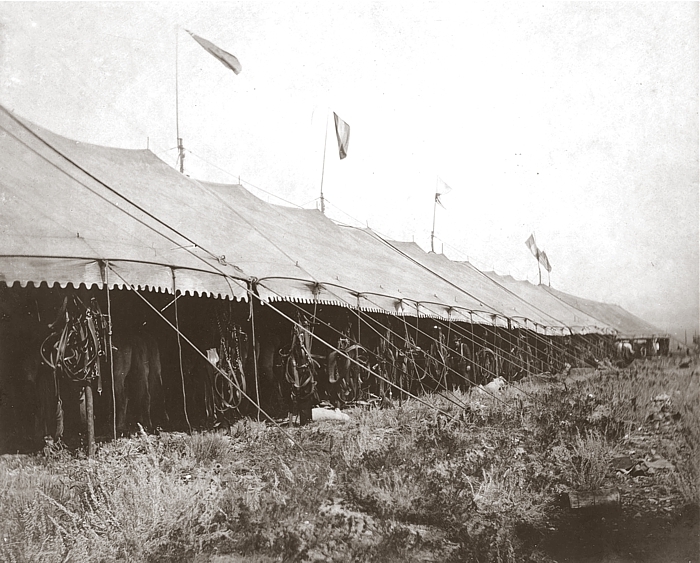 It was operated by Ringling until 1911, and was on the road with other circuses until 1928. It's whereabouts are unknown. 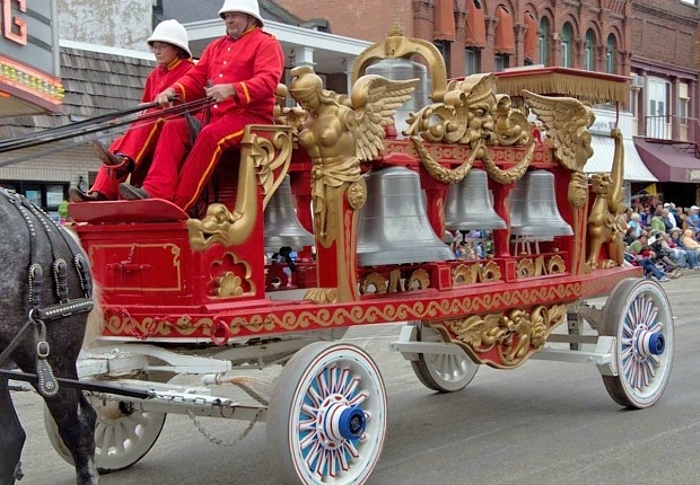 This fantastic wagon was built especially for Ringling Bros., and it is still in operation today. 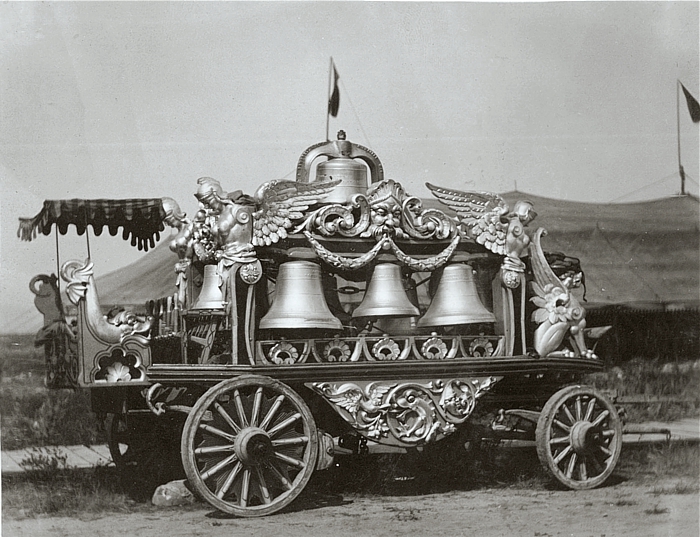 For a detailed history of the Bell Wagon, please go here.